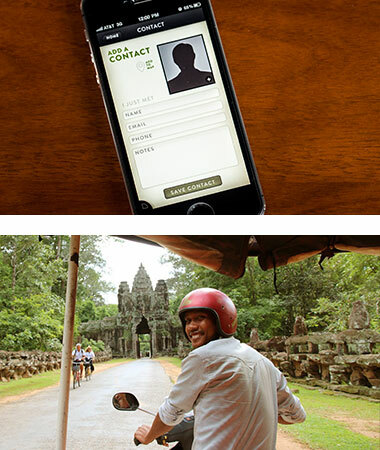 Adventerous, tech-savvy travelers at Angkor Wat. Objective Propose an original app concept. 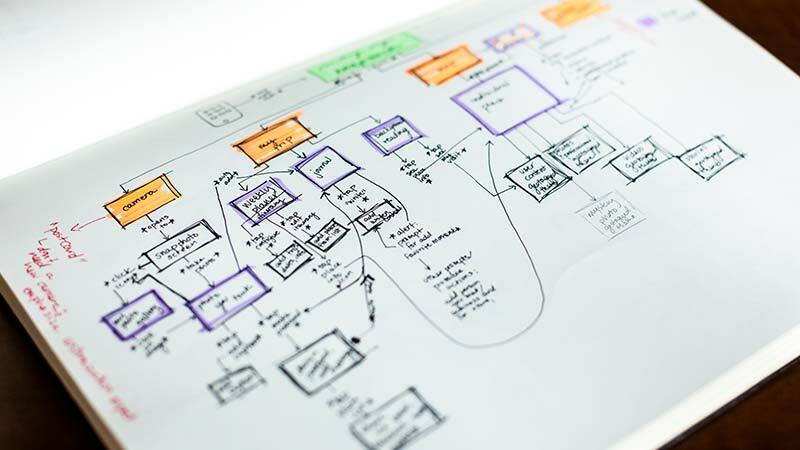 Develop a feature list and user flows, create moodboards, conduct user interviews and design wireframes to develop the app. 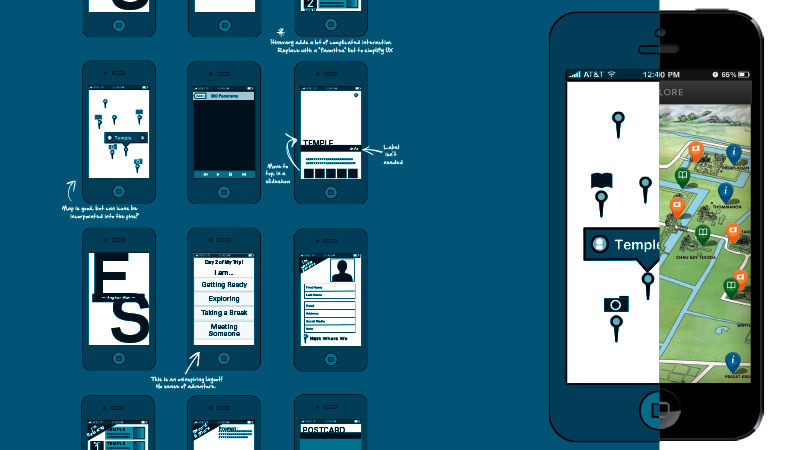 The deliverable is a set of pixel-perfect final screenshots that illustrate all major app functions. 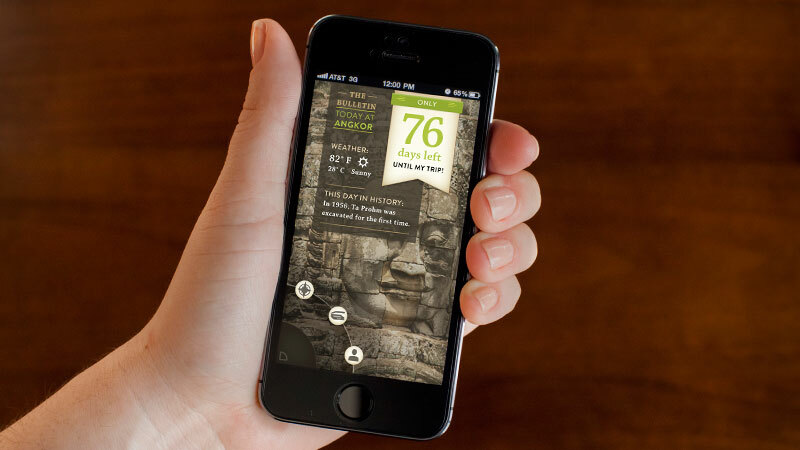 Concept The Exploring Stories app makes planning a trip and learning about Angkor Wat quick, easy and fun. The functionality is divided into two categories—before and during the trip—to allow easy access to the most relevant tasks. 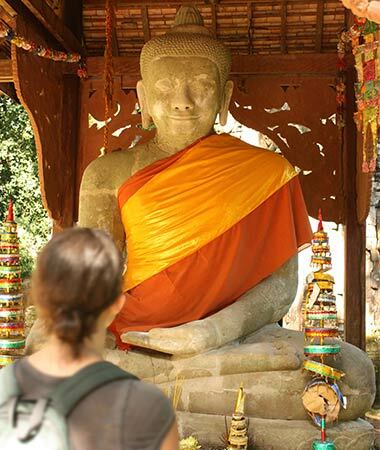 The app includes a map, packing list and stories about Angkor Wat. 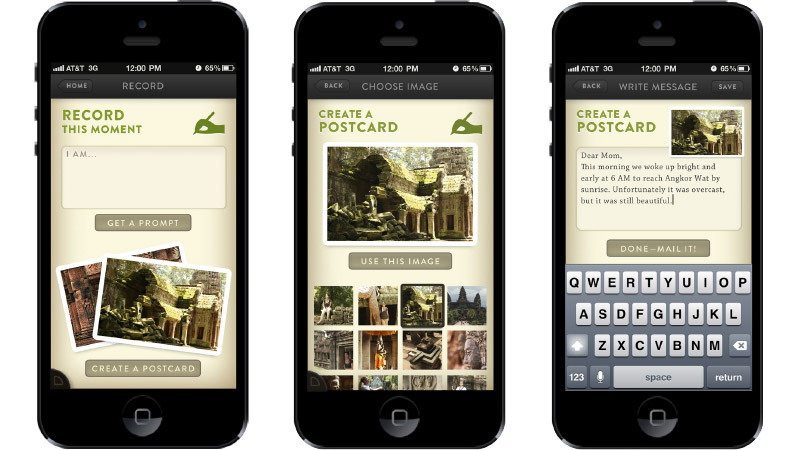 It also features fun bonus content including a daily bulletin of interesting facts about Angkor Wat and the ability to create and share digital postcards. Navigation is accessed by tapping the bottom left corner. A circle of icons pop up in a layout that is vaguely reminiscent of the dashboard of a vehicle, enhancing the idea that the user is on an adventure. 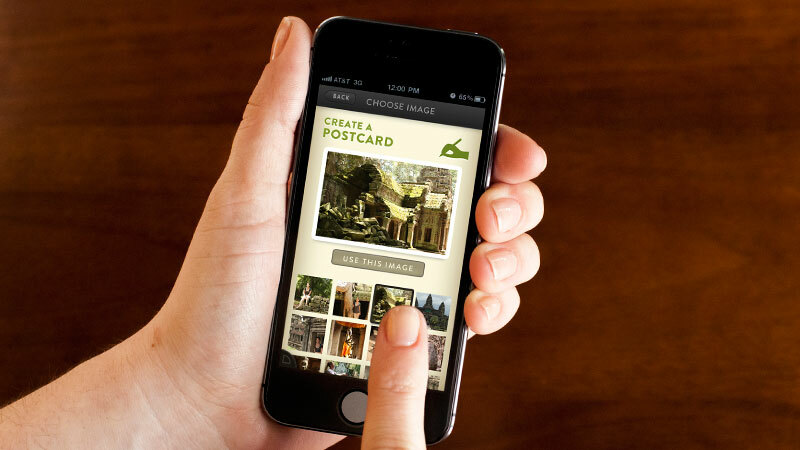 Visuals The app has an old-fashioned travel aesthetic, using a classic safari color scheme of olive and khaki. It uses the sans-serif Brandon Grotesque and which recalls vintage typography. Clean vector graphics and simple geometric shapes give the vintage visuals a modern update. 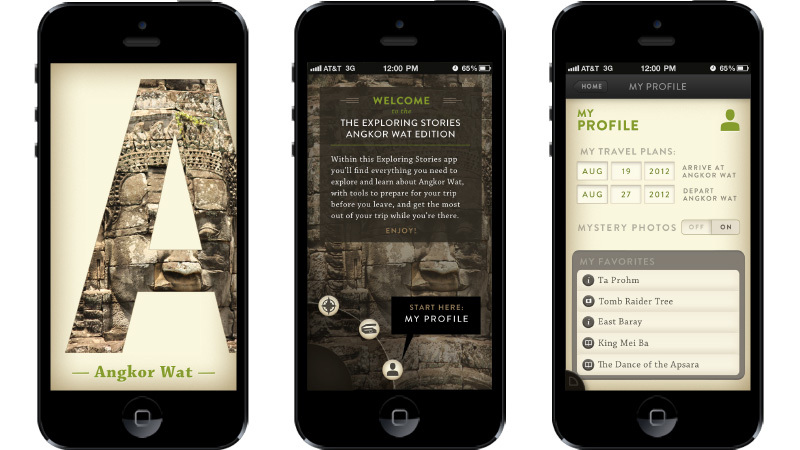 A slight dimensionality to buttons, text and icons invites the user to interact with the Exploring Stories app.